Oh my gosh!! Snooki looked amazing!!! and I was equally disappointed in Hayley. Her outfit was just...bad. Maybe it looks like that because of how her bright red hair clashed with her bright pink fuzzy thing on her dress? Hahaha, I love how the Grammys bring out the crazy in people. The leopard print hair-do is so awful it's brilliant. Hayley Williams' dress is dodgy, and gaga's shoulders really freaked me out cos I didn't realise until you pointed them out! ahaha! I have a bit of a love/hate thing with Rihanna... I like the odd song, and outfit and the rest of the time she just drives me a bit mad. It started with that 'SOS' song that had the line 'Y O U R making this hard' which I think was trying to be clever, but was just incorrect. Geek much? Hayley looked awful, I didn't understand her outfit at all, eurgh! Snooki looked great, not as tanned as usual and pretty classy. Amber Riley looked great as always but her necklace/shoulder pad thing was odd. I like Katy Perry's nan, she rocked the red carpet and her glittery walking stick was amazing! i love lady gaga's shoulder pad things, they're so strange. and katy perry's outfits are normally amazing, i don't know what happened on the red carpet! Oh dear, what was hayley williams thinking here! What in buggery is Hayley Williams wearing? Where did her good punk kid style go? I'm watching it on TV at the moment, I thought Hayley Williams looked awful! 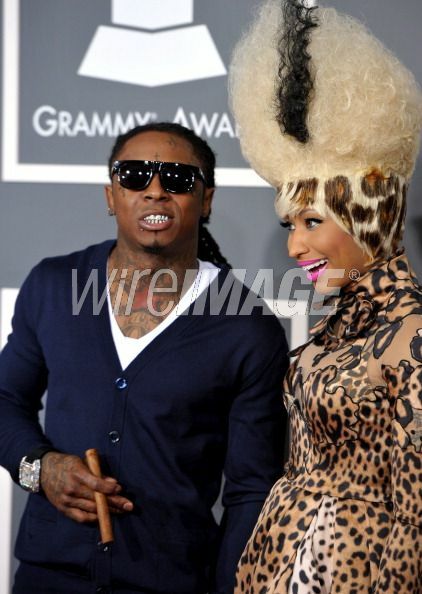 Quite a few of the Grammy ensembles were erm.. "interesting" this year.. ;P Especially Snooki.. she always nails her looks.... But that photo of Willow Smith and Gaga is really the cutest!! Katy Perry's big dress love song/video was my fav, it looked amazing. Love your blog btw, gorgeous.